Only 90 minutes from Melbourne, Phillip Island offers spectacular scenery, an abundance of Australian wildlife, and exciting new experiences. 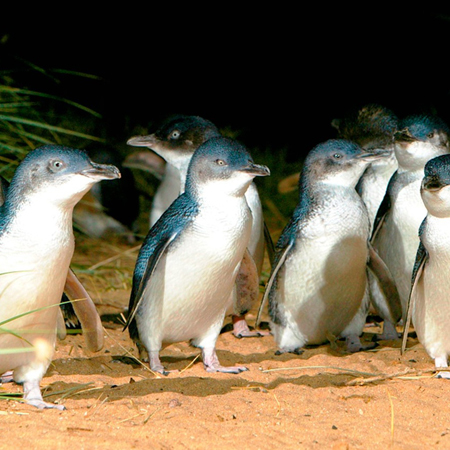 Phillip Island Nature Parks operates five world-class ecotourism attractions such as the iconic Penguin Parade, providing unprecedented penguin viewing from its brand new Penguins Plus and Underground Viewing experiences. The exciting new Antarctic Journey at the Nobbies Centre offers hands-on fun, interactive activities and a state of the art multimedia experience. The Wild Oceans EcoBoat takes a high speed adventure to Australia’s largest fur seal colony, while the Koala Conservation Centre and Churchill Island Heritage Farm encourage a more relaxed pace.